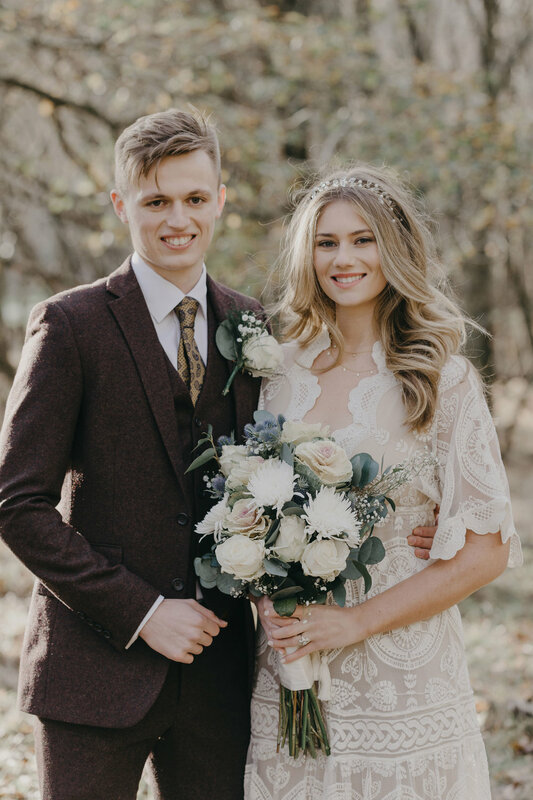 Abbey hails all the way from Tennessee in the USA and Sam from Dublin, Ireland. 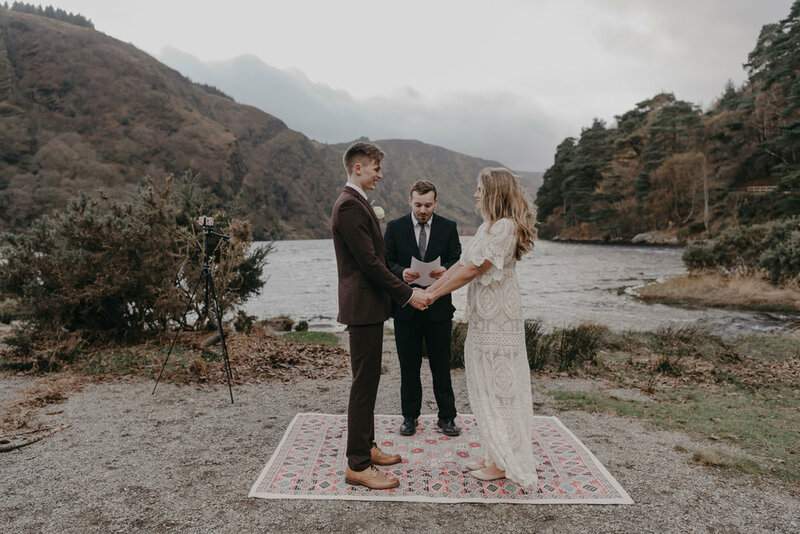 Through a myriad of chance meetings, scholarships to the USA and a move to Ireland Abbey & Sam's lives were beautiful woven together. 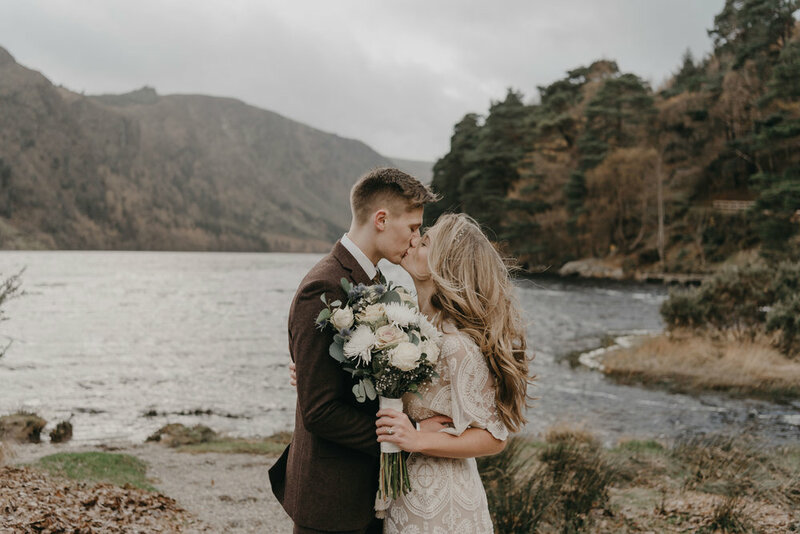 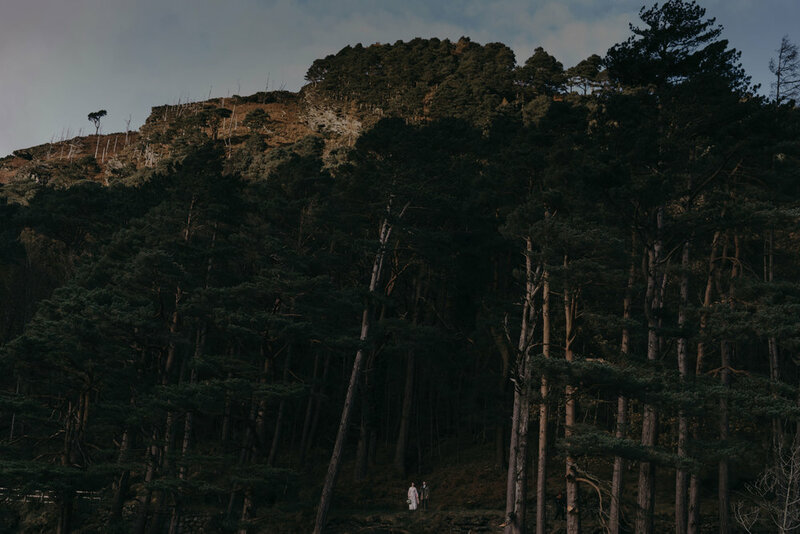 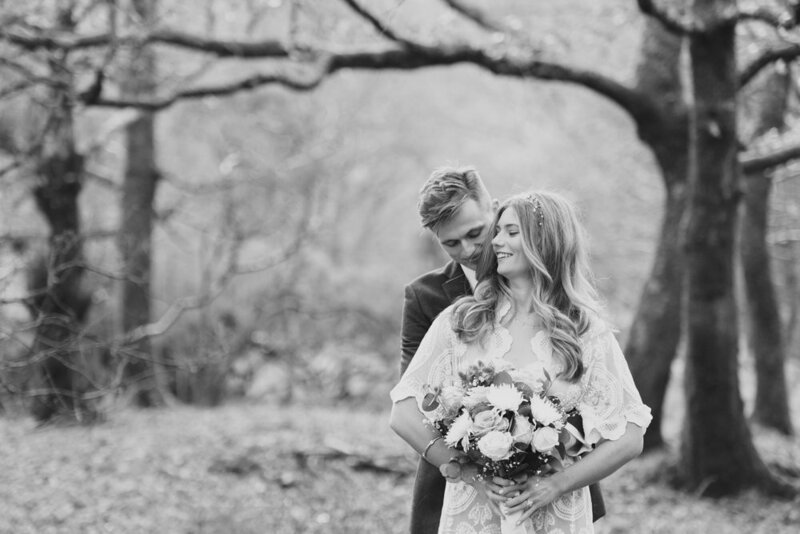 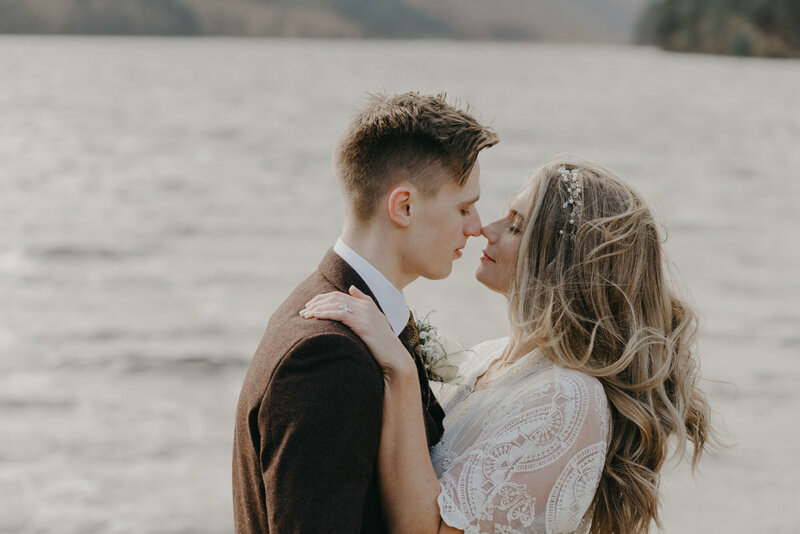 We were thrilled to be able to photograph their breath-taking elopement in Glendalough in the Wicklow Hills. 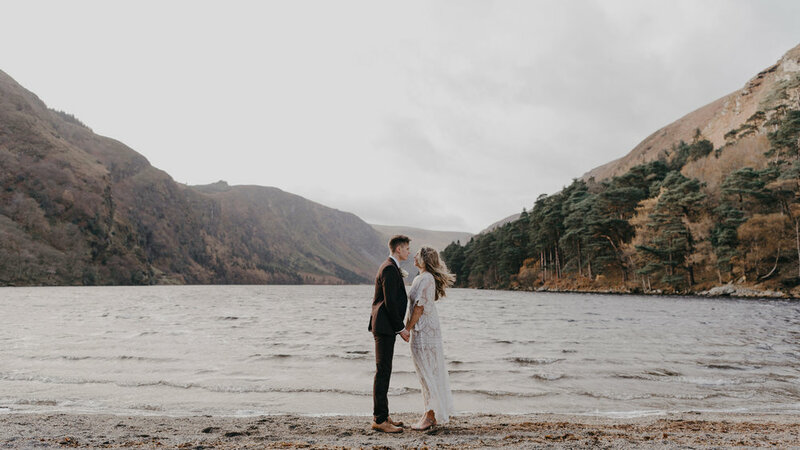 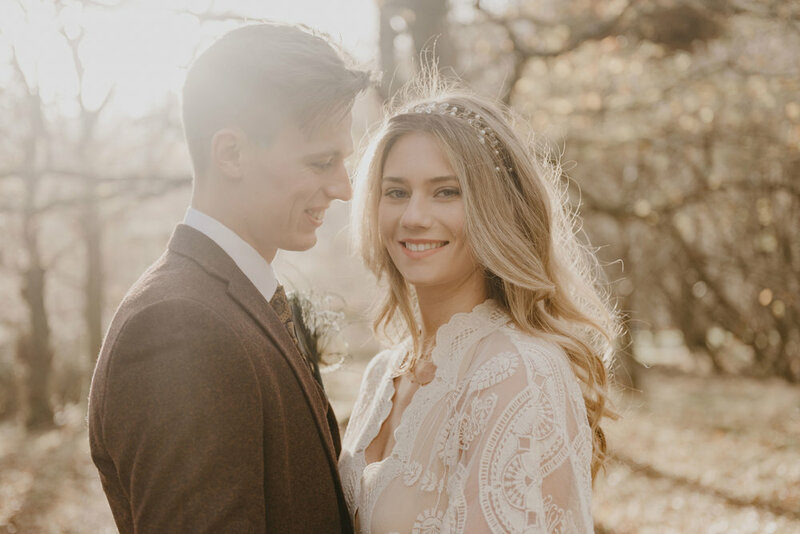 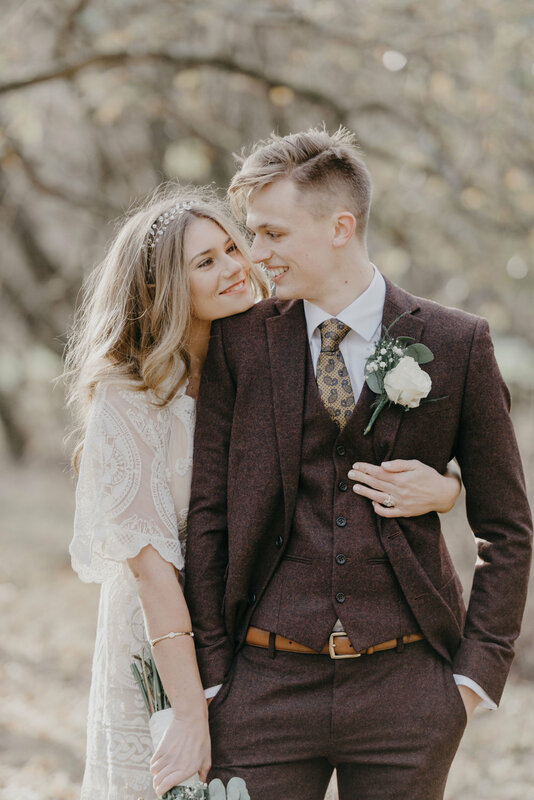 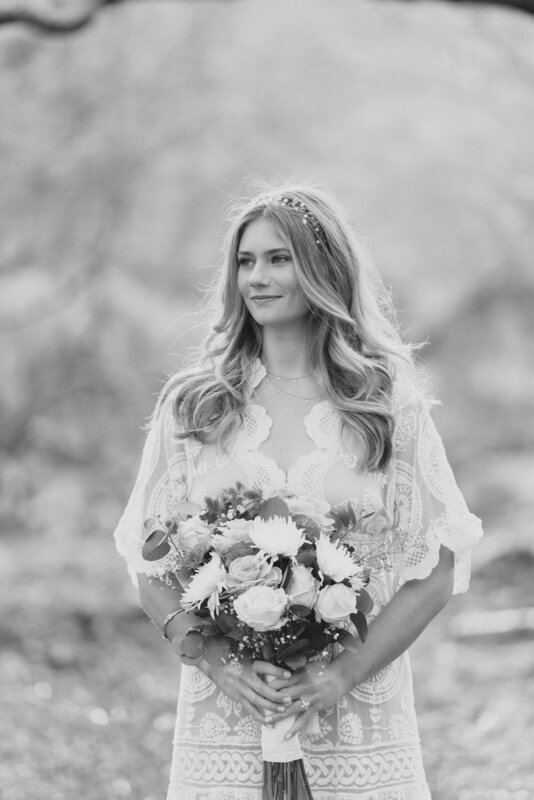 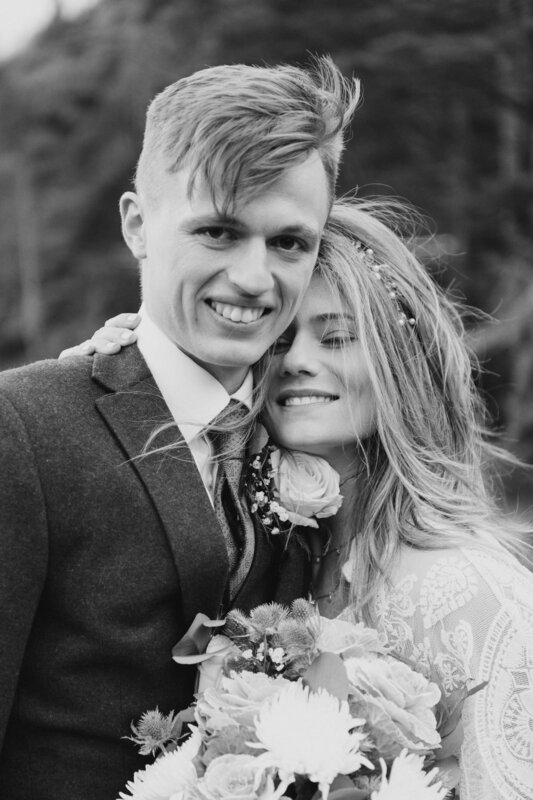 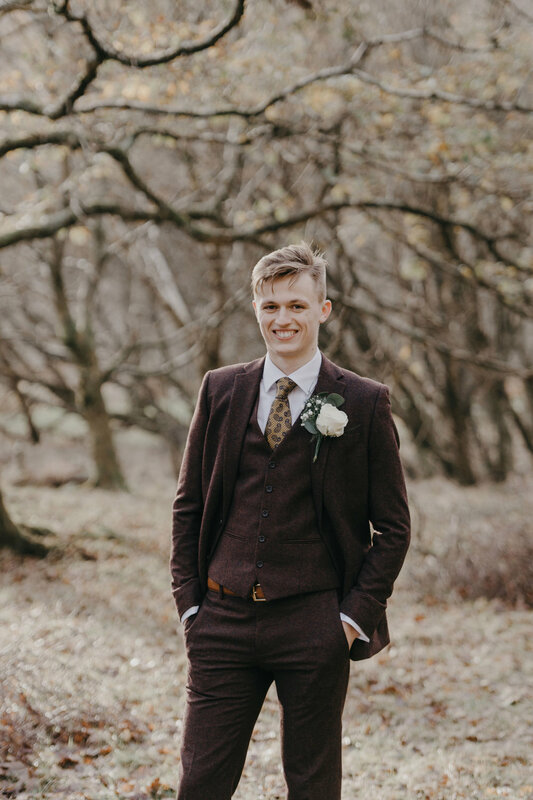 The sub zero temperatures of an Irish November were secondary to the incredible moments shared by Abbey & Sam during their wedding. 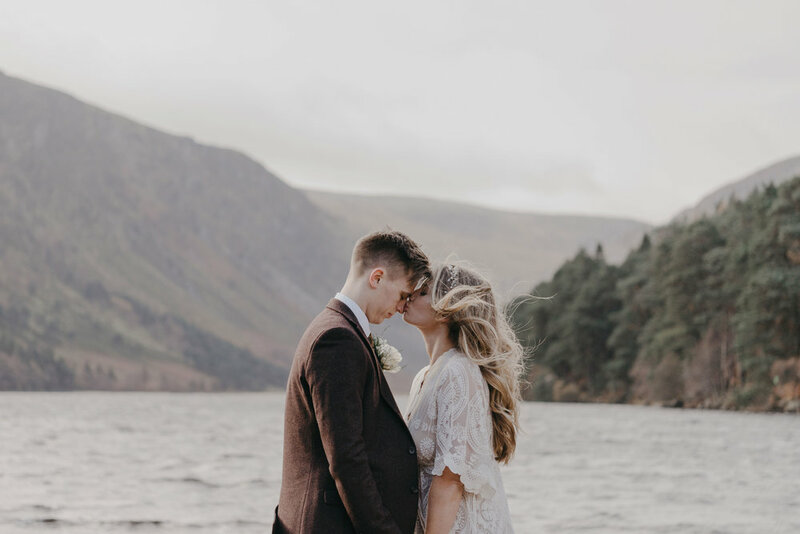 We took a small stroll around the upper lake at Glendalough before the ceremony and took some couple photos. 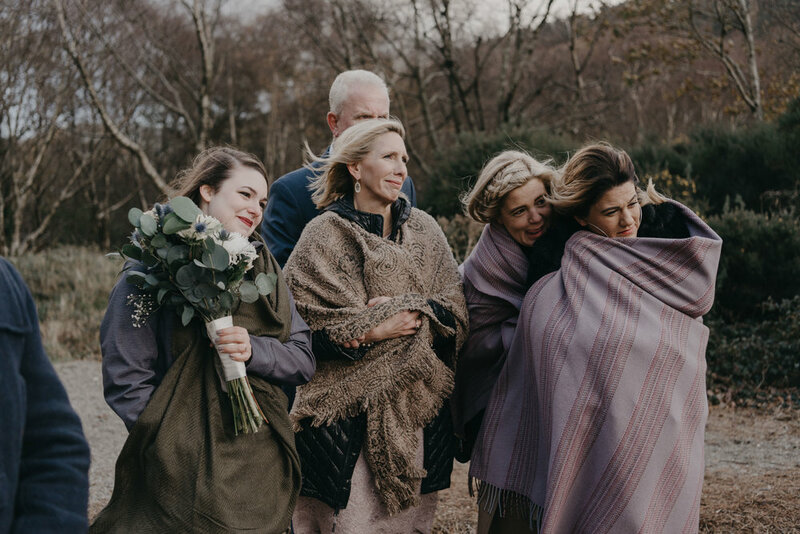 Then a very dear friend of the couple performed an intimate and personal service for them both as their closest family & friends watched on.